Rufure's First Fursuit (Project Journal) - fursuits, plushies, and costuming - Furtopia | Family Friendly Furry Forum and IRC Chat! Hello, everyone~ I just wanted to go ahead and start this project journal. 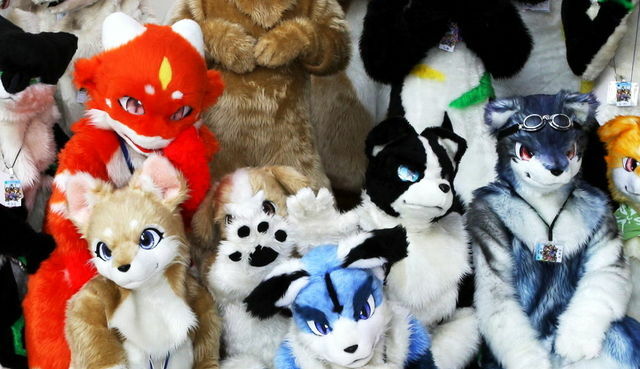 I have always loved kemono-style fursuits--they are what got me really interested in the furry scene to begin with. I think I have a pretty good understanding of how to construct most of the suit, and I'll be ordering a few parts such as teeth, claws, and paw pads from Dream Vision Creations. Below you can see a drafted reference of Rufure, and a version with my notes. His colors/markings are not finalized quite yet (if you've been in my art thread you'll see that his design is constantly changing ^ ^'), but his shape is, so I can go ahead and do the foam work. I'll be updating this first post, and also posting my progress. I plan to make a duct tape dummy of myself (with the help of my friend, of course) tomorrow, and start on the head as soon as I get my hands on some foam. If you have any advice/comments/questions, please don't hesitate to post them here! The purpose of this project journal is to keep track of things, and also get as much feedback as I can.